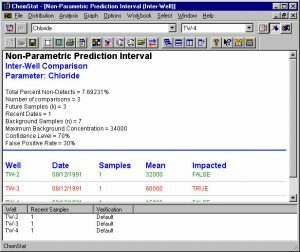 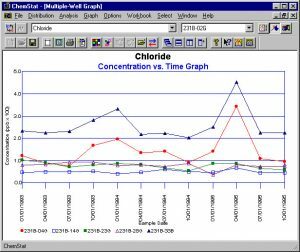 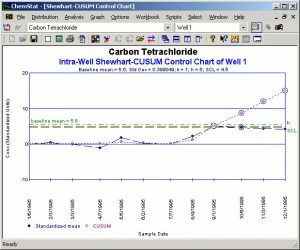 ChemStat is the easiest and fastest application available for the statistical analysis of ground water monitoring data at RCRA facilities. 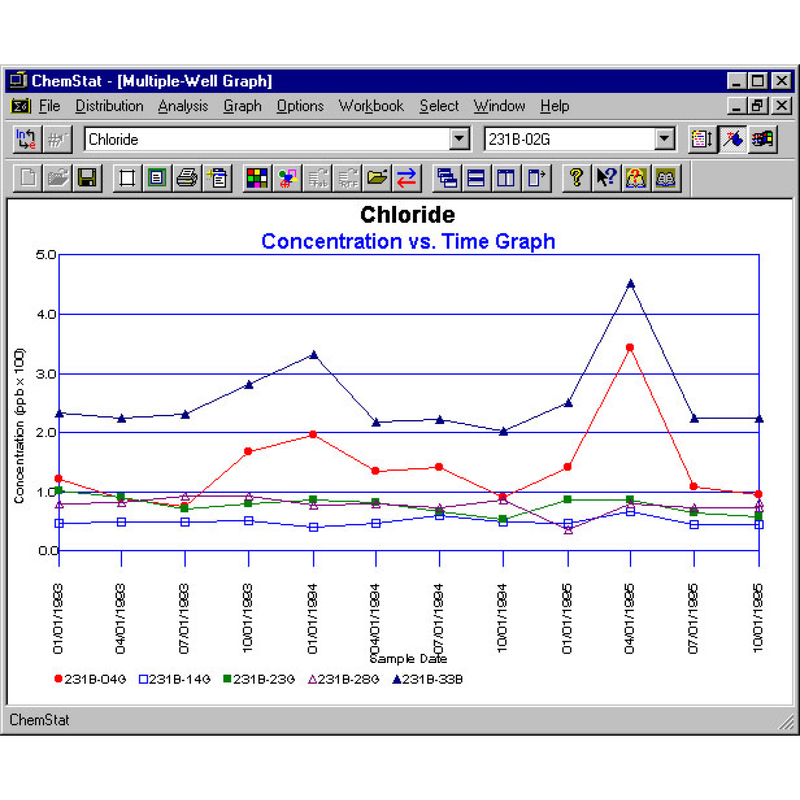 ChemStat is the easiest and fastest application available for the statistical analysis of ground water monitoring data at RCRA facilities. 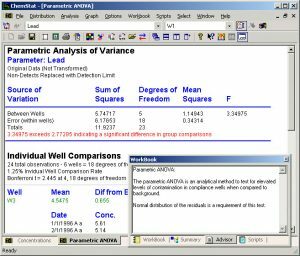 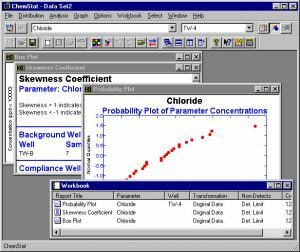 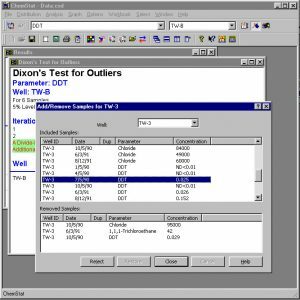 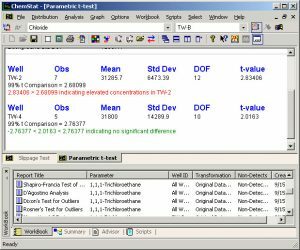 ChemStat includes most statistical analysis methods described in the 1989 and 1992 USEPA statistical analysis documents, USEPA Draft Unified Guidance Document, U.S. Navy Statistical Analysis Guidance document, and other guidance documents and methods documented in popular statistical texts. A unique combination of ease-of-use and innovative technologies make ChemStat the value leader for environmental statistical analysis. 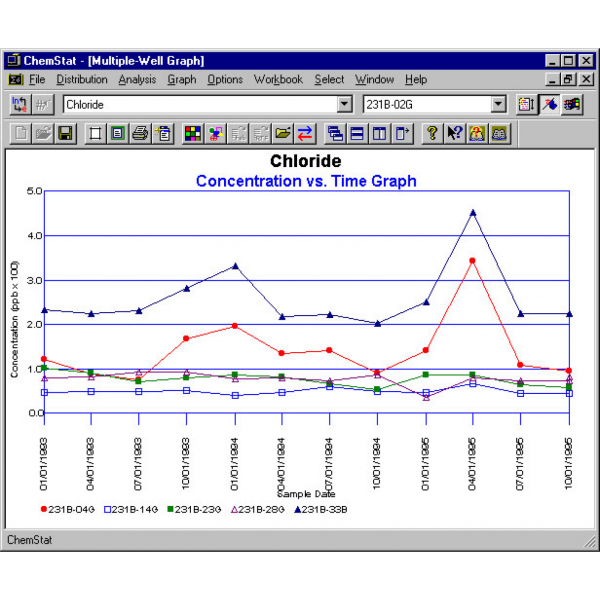 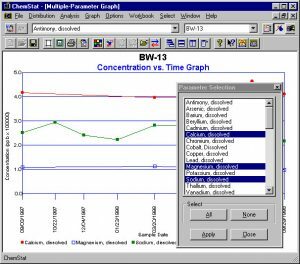 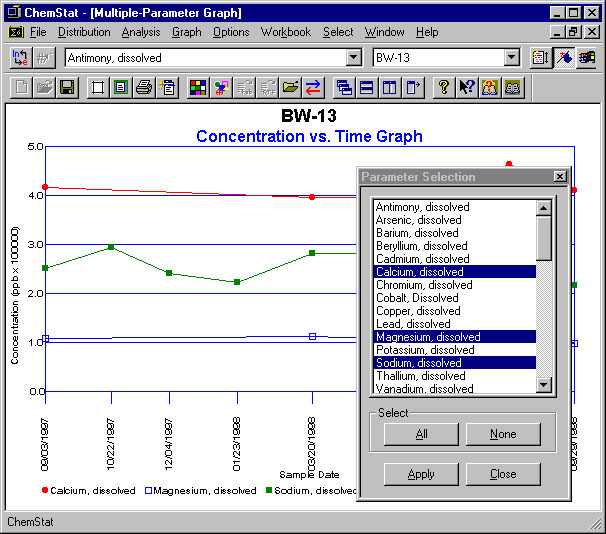 ChemStat is powerful and user-friendly. 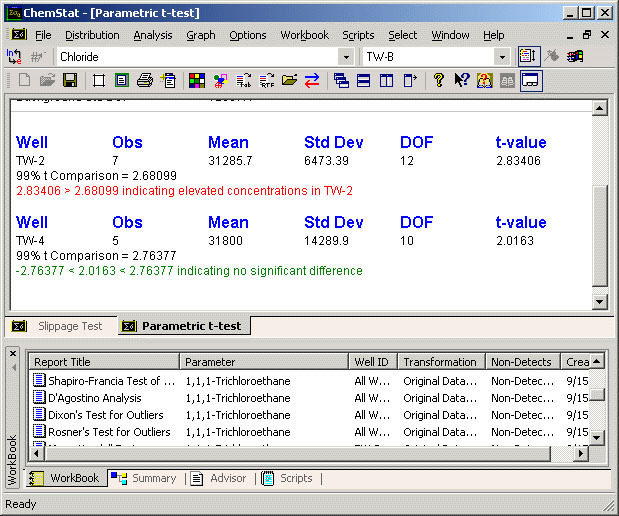 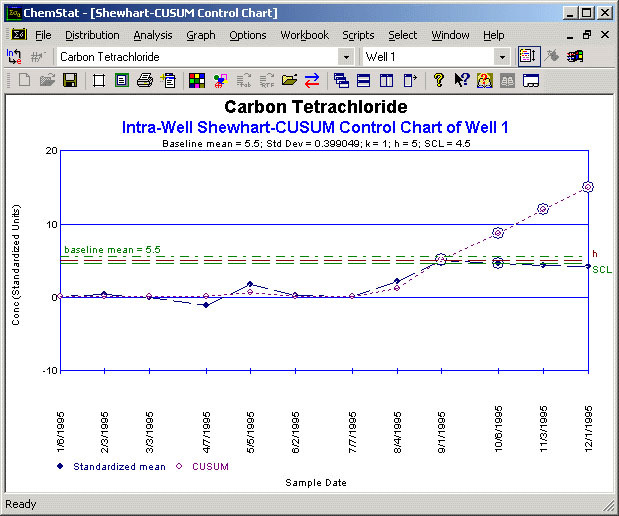 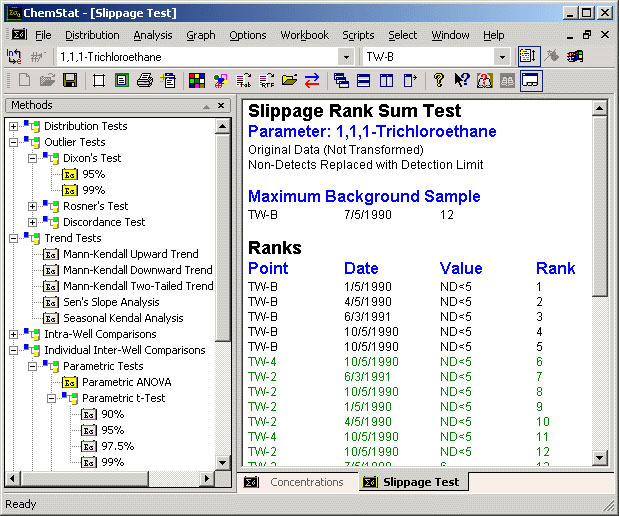 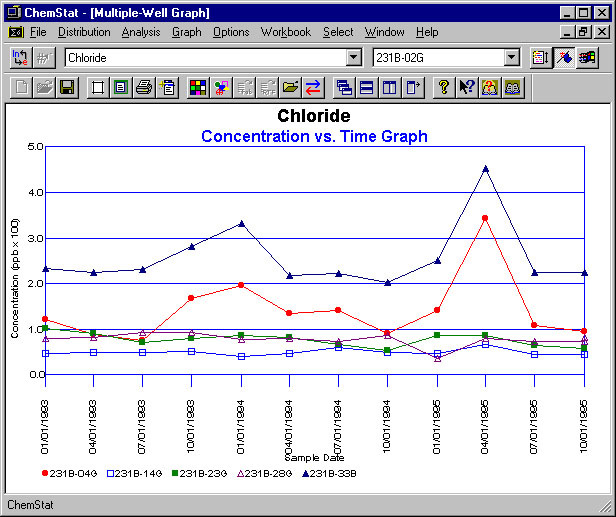 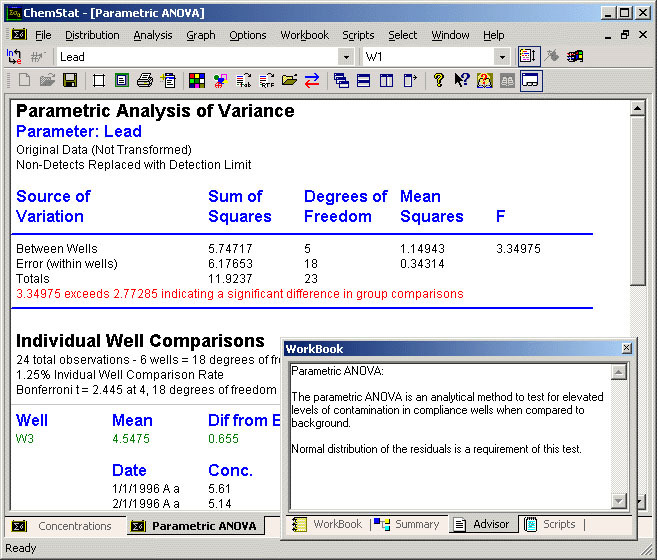 ChemStat performs a number of different statistical analysis and also creates graphs.